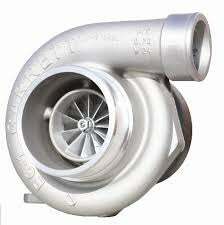 I was speaking with a guy yesterday, and he mentioned air cooled turbos, which I had not heard of before. I had been speaking of the oil temps in my turbo in certain conditions, and he brought up drag racing cars and air cooled turbos. Based on this old thread on the internet (https://forums.nasioc.com/forums/showthread.php?t=39727), I think he was talking about air to air cooling of the oil lubricated turbo, as opposed to the water to air cooled oil lubricated turbo that are common on production cars. But in the moment, it seemed like the guy was saying that there was no oil involved at all. Unless Oppos know of some special technology for a turbo with no oil?